Conner got some roller skates for his birthday but he hasn't gotten to ride them very much because of the weather and he didn't have any knee pads or elbow pads yet. Well, Anita picked some up while they were out one day last week and as soon as Conner woke up from his nap, he came walking in with the bag of pads and said, "I want to go roller skating." So, Anita geared him up and set him loose in the driveway. I've posted several pictures in the forum for this. 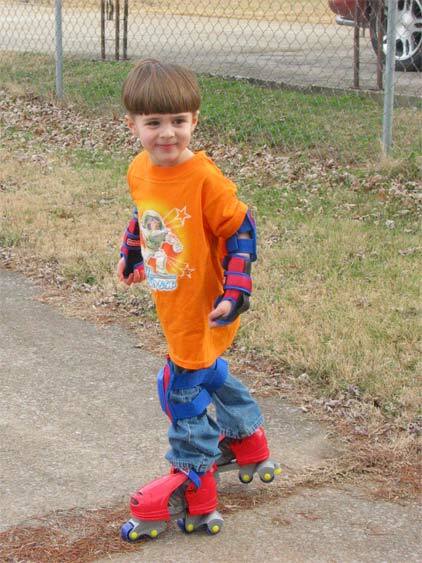 Click here to go to the forum and see all the pictures of Conner skating.